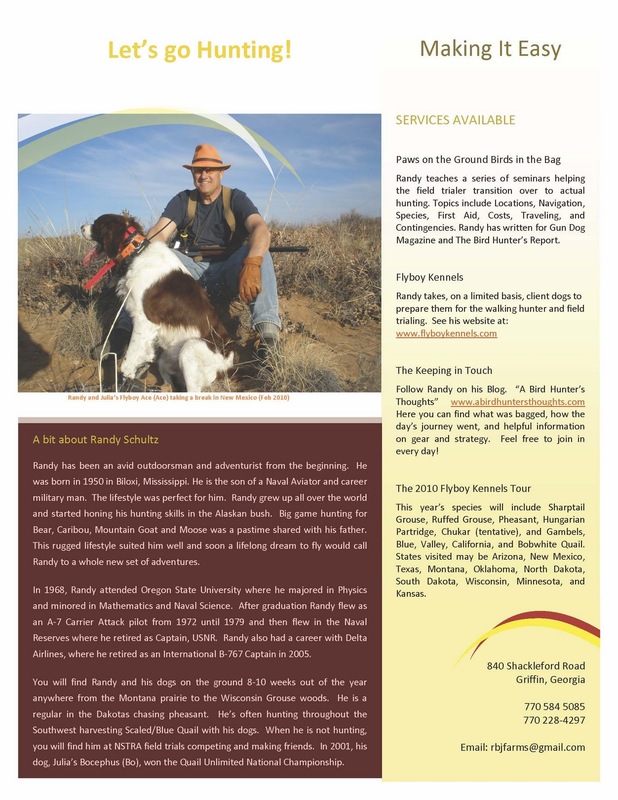 I've had some interest in a seminar for the non-hunter who'd like to learn a little about how to go about planning and executing a bird hunting trip. The perfect attendee would be a pointing dog person (man or woman) with the time, inclination and where-with-all to take a week or so and go on a bird hunt; but they've never done it. 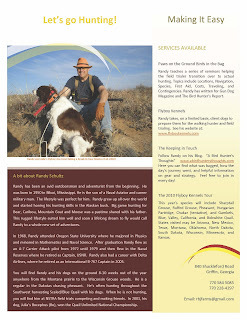 We would cover planning tips, equipment, dog care, species specific hunting techniques, navigation, etc. We'd spend a lot of time in questions and answers, how-to's, and some what-not-to-do's. My intention is to spread the word about bird hunting and the value of an outdoor sport in our society. Is there a place for a seminar like this?